Senior man showing two fingers. 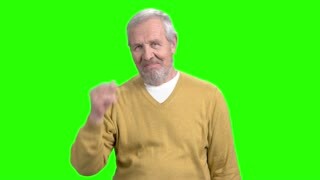 Funny grandfather showing peace with his two fingers on blurred background. Elderly man showing two fingers. 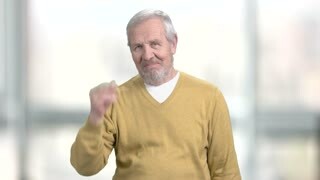 Positive senior man showing two fingers and looking at camera, alpha channel background. Mature man showing two fingers. Happy senior man dressed in yellow sweater standing on blurred background. Portrait of cheerful elderly man. Young excited woman showing peace with fingers. Happy smiling young business woman showing two fingers or victory gesture over gray background. Beautiful old man with two tumbs up. 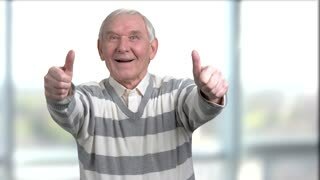 Cheerful caucasian senior showing two thumbs up on blurred background. 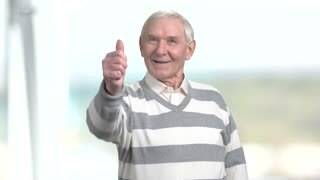 Senior man showing thumb up. Happy grandfather giving thumb up, blurred background. Human emotions and gestures. Young charming woman showing two fingers. Beautiful smiling lady in jean wear showing peace with fingers on blurred background.